Expert injectors are constantly finding new ways to make use of fillers and injectables. An important part of maintaining a youthful appearance is addressing volume loss. Some of the more popular uses for fillers are revolumization of the cheeks (and lips, filling in under the eyes, improving the look of the hands and earlobes and, of course, minimizing smile lines). By using a combination of injectable fillers, we can instantly lift your cheeks and restore lost volume. Thick hyaluronic-acid-based gels like Perlane, and longer-lasting Radiesse and Sculptra, are ideal for resculpting the cheek and building volume. The result, which lasts on average from six months to a year, if not more, is contoured cheeks, giving way to a more youthful appearance. Both hyaluronic acid injectables and collagen-stimulating fillers can reinstate definition to the cheeks, giving a more defined profile and a similar look to what’s achieved with fat without surgery. The reverse applies too, you can now have your own fat injected and achieve the same results as fillers. 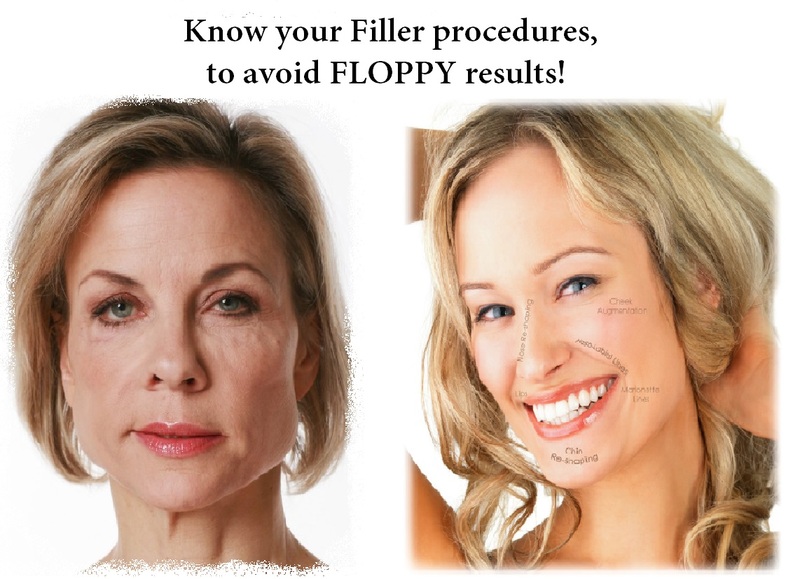 Fillers are great for reconstructing the shape of the cheek around the orbital rim, where the signs of aging begin. To get the most natural look that doesn’t look “done” or “injected,” filler should be placed in the front of the cheeks, as opposed to the outside of the cheekbones, which causes the filler to push the eyes up. Filler or fat can be used to help lift the outer corner of the cheeks and add volume so that the cheeks and under eye are in better proportion. The Secret is by lifting the cheeks, other features are subtly lifted, too, like the corners of the mouth and jawline, which gives a better contour. The advice here ladies and gents, is that if you wanting to achieve that subtle face-lift look, cheek fillers should be No.1 on your procedure list. Because the cheeks are central to the face, in lifting the cheeks, you are able to achieve an overall lift. At the Institute of Healthy Aging, one of our newest filler range is called Perfectha. Both Dr Carmichael and our clients have been enjoying the Perfectha range, which is new to South Africa. Perfectha Subskin is injected (either using a needle or a canula) into the subcutaneous level and can treat skin depressions and scarring. It can also be used to contour the jaw bone, cheeks and chin areas. It is expected to last 12 to 18 months. “I would recommend this treatment for men and women seeking to reduce deep wrinkles, have flat cheeks, very little volume around the cheek and jaw areas, skin scarring and depressions. It is completely safe and very effective” says Dr Carmichael.